Grapefruit Juice – The Ultimately Plateau Buster? Many people are searching for effective weight loss methods, and the HCG diet plan is certainly one major option. Many people are now choosing this program to lose weight, but with that comes a significant information gap between what works and what doesn’t. Either Dr. Simeons original protocol can be selected, or a more modern method can be used by those looking to lose weight. Either will work in the long term, but the modern approach is generally easier to stick to. Likewise, the total weight lost between the modern method, and the classic, are actually the same. As such, most find a better rate of success using the modern method, which allows for a wider variety of fruits and vegetables, and up to 700 calories per day. Part of any healthy living program is the capacity to keep a healthy weight. The HCG diet program does this, and allows users to maintain that after the fact. However, once a person goes on this program, they can sometimes be met by a plateau effect within their weight loss that can be quite difficult to overcome. This is caused by a fundamental characteristic of the human body. Whenever a person begins to lose weight, their body will lower its metabolism, to keep this from happening as readily. HCG helps to combat this, but no program is ever perfectly effective in this regard. As such, people will sometimes experience plateaus, which are periods where no weight loss occurs. Generally these last only a few days on the HCG diet, but can rarely last for much longer. 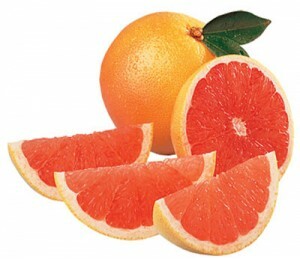 Recent research done by Vanderbilt University has actually identified grapefruit juice as an effective metabolic booster. Those drinking grapefruit juice daily actually lost 7.2% of their body weight over 12 weeks, without changing anything else regarding their diet or exercise routines. This is an impressive result, and indicates that grapefruits may the be the ideal plateau breaker for the HCG diet program. Many people using HCG Plus have reported significant results if they are in a plateau and do a ‘fruit day’ with grapefruit. As such, we highly recommend this fruit in this capacity if a plateau breaking food is needed. Grapefruit was not originally allowed on Dr. Simeons diet, but the modern approach we give our customers does allow for it. It is important to note that Dr.Simeons’ original research did not allow for many fruits and vegetables that have since been identified to be effective at promoting weight loss. As such, the modern approach was designed as a way to add in many of these fruits and vegetables, and was studied to see what benefits it had. Generally weight that is lost on the modern HCG diet program is in line with what is generally seen on the classic HCG diet. ← How Can I Know HCG Plus is The Real Thing?